Another low-priced addition to our range in this Badger faux fur, suitable for sofa and chair throws, bed throws or large fur bedspreads. The dark grey colour makes it a wise choice for pet lovers. Available with a choice of backings. 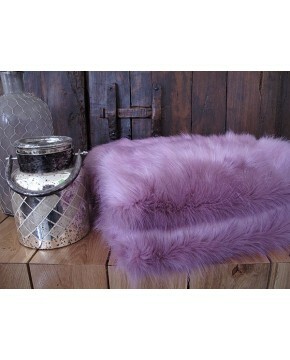 If you wanted something a little lighter in colour, then our Ash faux fur throws should fit the bill. This is a charcoal grey fur blanket produced by ourselves here in the UK. If intended to be used on white or very light coloured leather furniture we suggest requesting the ivory coloured backings. Description: A mid - dark grey, medium length grey fur blanket. Very competitively priced coming in a choice of 9 standard sizes together with our usual bespoke service. A good all-rounder. Easy to maintain. 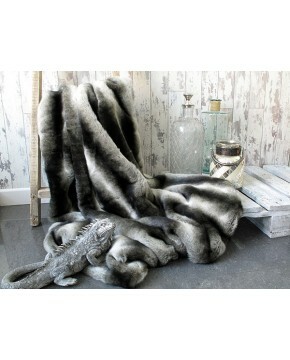 One of many of our grey fur throws.